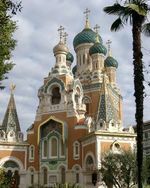 Paris, April 11, Interfax - Russia has obtained definitive ownership rights to a church building in Nice under a ruling of France's highest court on Wednesday, said members of the Russian Orthodox community in the Western European country. The Court of Cassation threw out an appeal from the Nice Russian Orthodox Cult Association (ACOR), which had laid claim to the Cathedral of St. Nicholas. "Justice and plain common sense took the upper hand over sectarianism and refusal to accept reality," Ksenia and Nikita Krivoshein told Interfax-Religion. The cathedral was leased to ACOR for 99 years in 1923, and since 1931 had been in the jurisdiction of the Russian Orthodox Exarchate in Western Europe, which, in turn, is part of the Constantinople Patriarchate. On May 19, 2011, the French judiciary confirmed the Russian state's property rights to the cathedral. The Russian state decided to make the church available to the Korsun diocese of the Moscow Patriarchate for free and indefinite use. However, the Russian Orthodox Exarchate insisted on being the lawful owner of the building. Built in the early 20th century, the cathedral is one of the most frequently visited historical monuments in The French Riviera. In 1987 it was put on the list of architectural monuments protected by the French state. The Russian state and private sponsors will finance the two-year work of restoring the building that is due to start this year.